There is a place in the Caribbean that I always used to hear about. 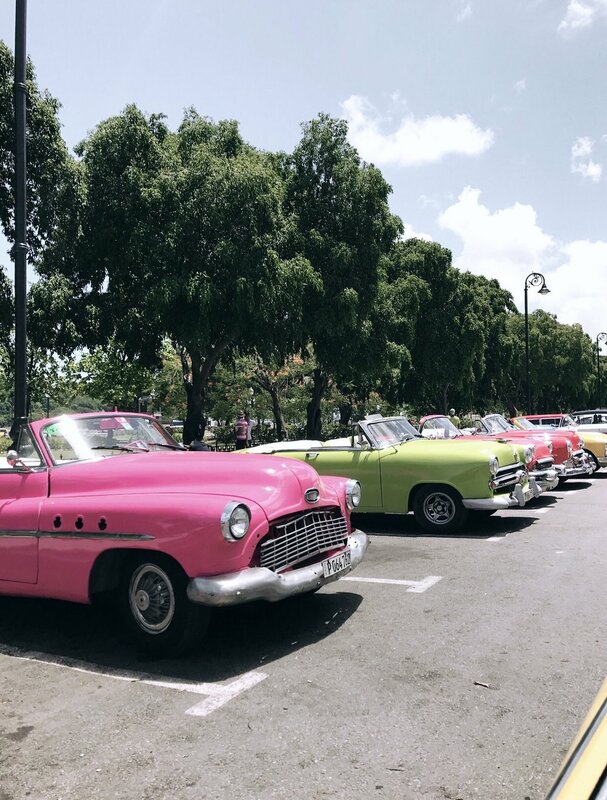 From its cigars, to the old cars, to the live music and the headlines that would make the news. But Cuba still always remained a mystery to me. It was not until I got to experience it first hand that I would I really get to see it for what it was and understand its past. We arrived around 5pm on a Wednesday. Havana airport is warm, small and quaint. 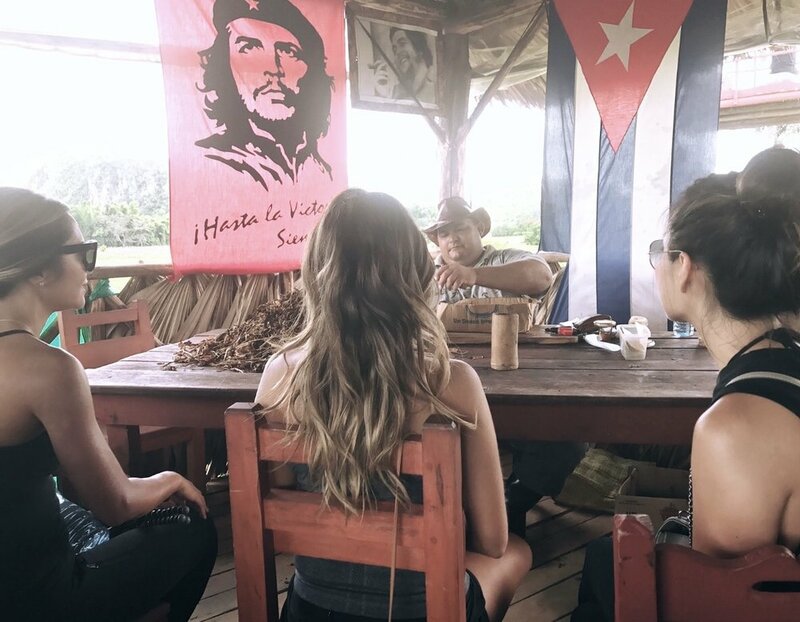 There are present talks of American entrance into Cuba being banned so we were lucky to have made this trip happen. 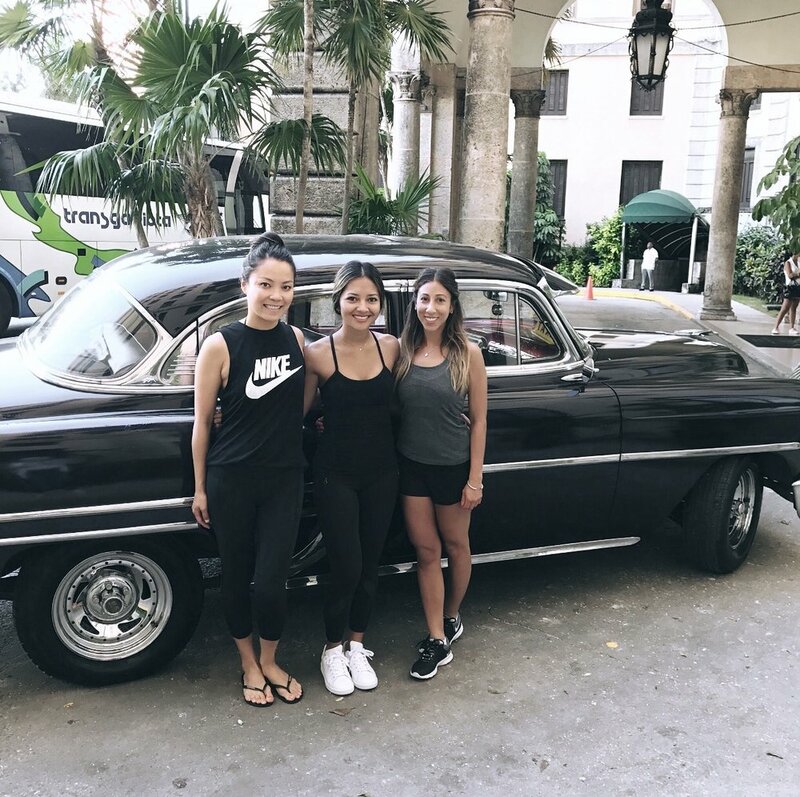 We meet up with our tour guide, Chanel Gavin, and hop into a taxi to the Hotel Nacionale de Cuba. My mind wanders in amazement. 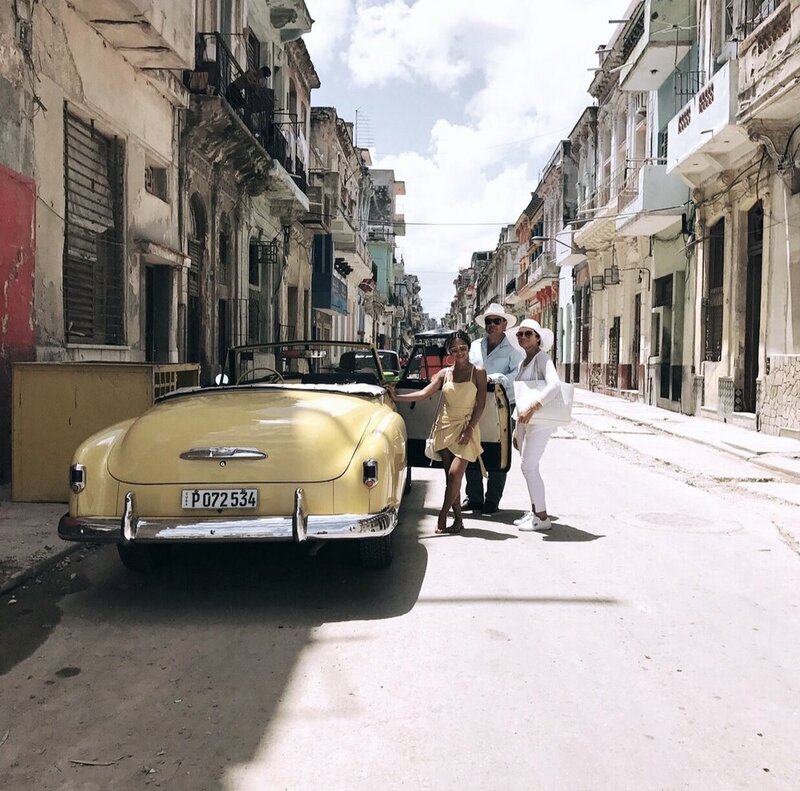 I feel excited and overwhelmed as I people watch and take in my new view of what is these streets of Cuba. We finally make it to our hotel and check in. I then exchange my Euros into Cuban CUC because your dollar goes further using anything other than USD. We then head to the lobby bar to grab a mojito and soak up the scenery of the Malecon and the coast of Cuba. After some relaxation, we head to our rooms to freshen up for dinner. The next day is when the real Cuban exploration began. We start by getting picked up in an old black Chevy. This was everything we hoped for. Not only was the car cool, but our driver was even cooler. 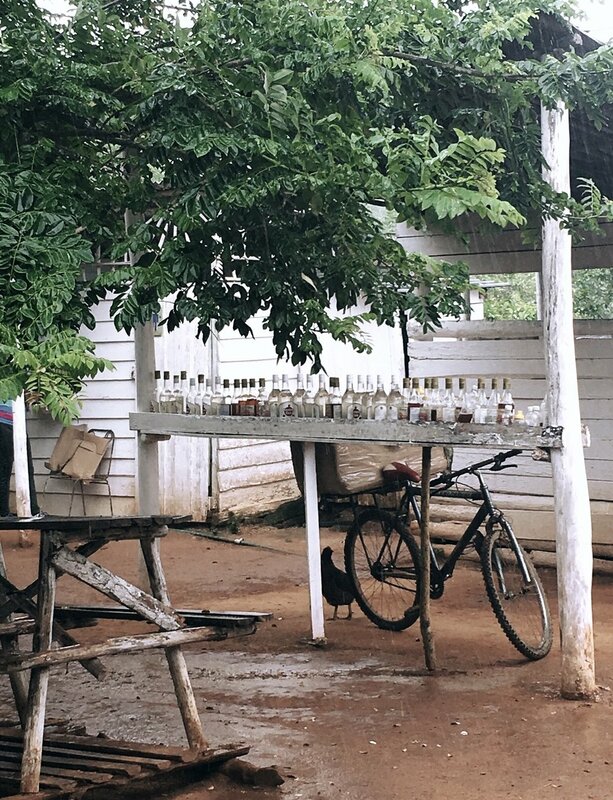 As we hopped in the car, we feel the cool AC blasting as we begin our two hour drive into Vinales where we would learn about the makings of cigar, rum and even go horseback riding. After a long day, we make the two hour drive in the rain back to our hotel to meet up with the rest of our friends that flew in that night. For dinner, we ate at El Del Frente where I had Ropa Vieja for the very first time... I had that dish every night since then! The next day is another two hour drive to Varadero for a change of scenery. Varadero is a beachy, resort town with a mix of locals and tourists. It is definitely a site to see, however, you won't be able to rent beach chairs or umbrellas unless you are a guest of the hotel. After the beach we ventured into the little town of Varadero to eat some lunch before making the two hour trek back to Havana. 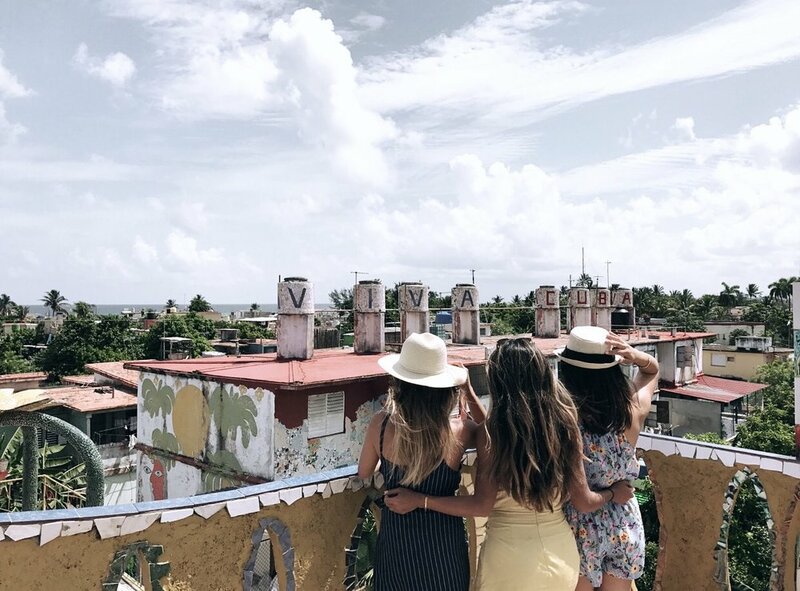 Later that night, we had dinner on the rooftop of the famous La Guarida, which is located inside an old abandoned building. Most restaurants in Cuba take place in settings like this or in homes. After dinner, we headed to La Casa de la Musica to experience the Cuban Salsa scene in action. This place is a must-see. I was so enamored by the passion they have for dancing and music. The next couple of days were spent touring old town and new Havana. Chanel (tour guide) picked us up alongside our driver who had a pale yellow Chevy convertible, which, coincidentally, matched my dress! This time there was no AC and we were struggling as August is not the ideal time to visit Cuba. Humidity was kicking, but we were on a mission to get the best pictures with our dream car despite the heat. 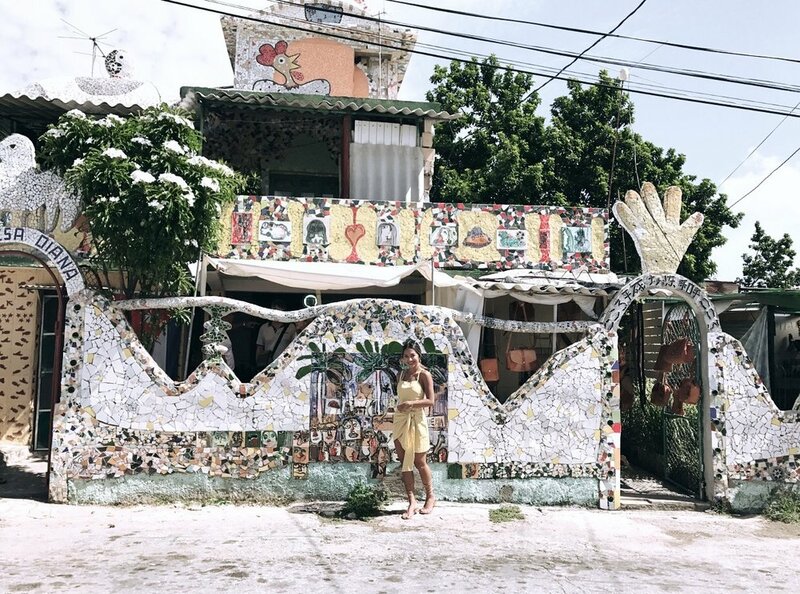 We visited the Cuban Arts District (Fusterlandia), roamed the cobblestone streets, stopped to listen to live music, watched avid salsa dancers get their groove on and cooled off with some fresh coconut ice cream. Other lunch and dinner spots we went to were O'Reilly 304, El Cocinero and Al Carbon. We even stopped at a local nightlife favorite, Fabrica de Arte Cubano, which was a huge warehouse full of art, music and bar stations. People told me what to expect from this place, but it's nothing compared to actually being there. It's not glamorous nor pretentious, but the people are vivacious, happy and helpful. The streets are colorful and filled with music, dancing, children, swagger and passion and love for their country. It is definitely a place frozen in time. Connection to the outside world and the internet is close to non-existent. I got the chance to really indulge in the culture and what it has to offer. There were times where I would complain about the heat and the bathrooms, etc., but once I stepped foot back in America, I found myself happily reminiscing, talking non-stop and telling my story about how amazing this trip was. For me, it was a trip like no other mainly because of the music, the dancing and the people. Thank you to our tour guide turned friend, Chanel Gavin, for inviting us into your house to meet your family, eat your food and play dominos. I felt like Anthony Bourdain. It was everything we could have ever hoped for!